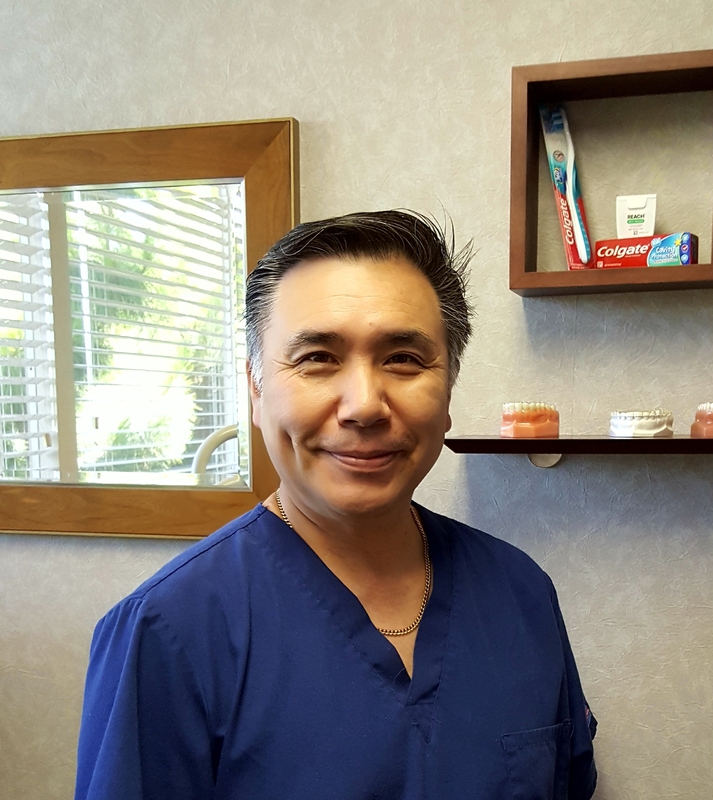 Our on-site laboratory, headed by Sam Ogiwara, allows direct and efficient communication between the dentist and technician helping us to provide timely and personalized care. Sam has twenty-five years experience creating esthetic, comfortable, and durable dental prosthetics. After the dentist takes an impression, or mold, of the patient's teeth, Sam creates a model using dental plaster. Combined with other clinical information, such as digital photographs, bite registrations, and the laboratory prescription, Sam then fabricates dental prosthetics to restore your mouth to full function. During your delivery appointment, Sam can make color changes or other adjustments as needed, eliminating the need for patients to come back for multiple visits!